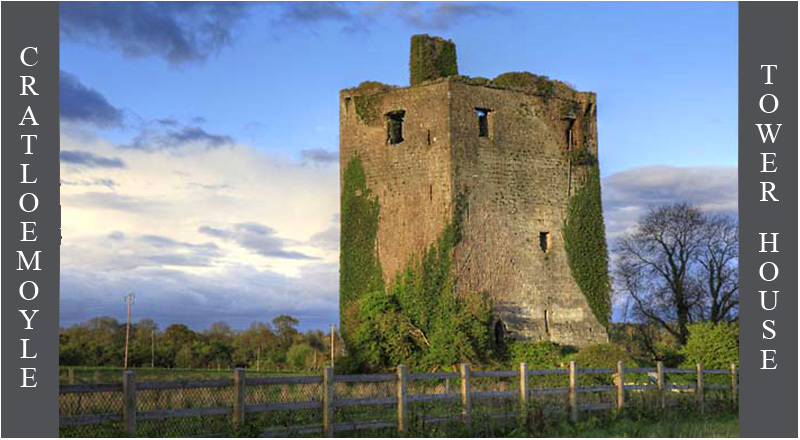 This striking 16th century tower house can be seen on the northside of the N81. We were on our way back from a visit to Bunratty when we stopped at Cratloe. The 5 storey castle, which is said to have been built by the MacNamara Clan, stands on a small rocky outcrop. There are traces of bartizans on the northwest and southeast angles, see image below. The last known occupant of the house was John MacNamara who died in 1780. Access to the castle is quite difficult since the dual carriageway was altered. Hopefully we will have more time to get some interior shots on our next visit. Situated: Cratloe tower house stands on the north side of the N81 about 6 kilometres from Limerick. Access to the site may be better from the north side of the castle. Discovery Map 58: R 5122 5954. Last Visit Aug 2012.